The sleepy town of Bohicon in southern-central Benin roars into life during the cotton harvest between January and March. Enormous trucks piled high with "white gold" trundle down the roads to the town's cotton-processing plant. Yerima Fousseni, head of the cotton-growers cooperative in Wewe district farther north, says 2018 has been a bumper harvest -- more than 46 tonnes, triple last year's yield. "We now have 32 farmers in the village -- before, there were only 10 of us. Everyone has been able to see that there's money to be made out of this." That Benin's cotton sector is booming is clear. The country is the fourth biggest producer in Africa, with exports in 2018 set to reach more than 530,000 tonnes after 451,000 tonnes in 2017 and 324,000 tonnes in 2016. Everyone has benefitted from the boost but some more than others -- and many are wondering why. Some say the downstream part of the industry is in the hands of a de facto monopoly, dominated by companies historically linked to Benin's president, Patrice Talon. Talon made a fortune in the cotton industry before coming to power in 2016 on a campaign promise to revive it. Once in office, he vowed that he would part with his own interests in the sector. But the degree to which Talon has kept this promise remains unclear, exposing him to accusations of conflict of interest. 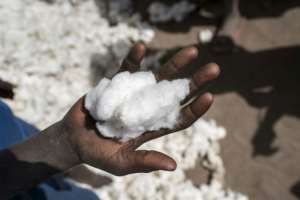 Sodeco and ICA, two companies in which he has historically been the major shareholder, manage or own virtually all of Benin's cotton ginners -- factories where, in the first crucial step after harvesting, cotton lint is separated from seed. Companies historically owned or part-owned by Talon are also major players in transporting the raw cotton, handling cotton seeds and in ports where the commodity is exported. How far Talon has since divested, or distanced himself, from these companies remains sketchy. Benin has legislation to punish unfair competition and monopolies, although the ministry of trade has no office to oversee the law. The situation has fed accusations of unfair practices in a sector where competition is tough and resentment can have deep roots. One such critic is Martin Rodriguez, a wealthy Benin entrepreneur who says he lost his entire investment in his home country. In 1997, he says, he built a ginning plant in Nikki, in northeast Benin, but it only operated at less than full capacity. He accuses the state -- at the time, Benin's president was Mathieu Kerekou -- of starving him of supplies of raw cotton. Crippled with debt, the factory was sold at auction in November last year at a knockdown price for three billion CFA francs (4.5 million euros, $5.5 million), and is now being run by Sodeco, says Rodriguez, who has launched a judicial appeal in the case. "Talon has taken politics into business and business into politics," said Rodriguez, who now lives in the United States. Abel Gbetoenonmon of a not-for-profit monitoring group called Social Watch Benin said concerns about conflicts of interest mounted after the industry was re-organised after Talon took office. 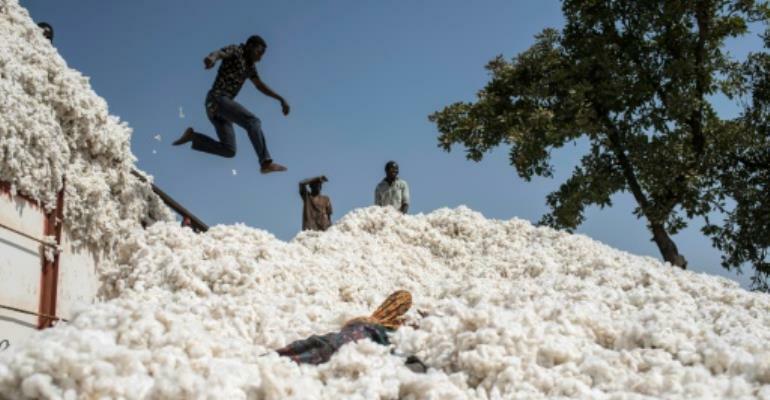 In April 2016, Talon handed management of the cotton industry -- a monopoly that until then was part-held by the state -- to the Cotton Inter-Profession Association (AIC), gathering cotton producers and spinners, and appointed a long-time associate, Mathieu Adjovi, at its head. "Abuse of a dominant position became a reality. Before, Patrice Talon controlled 80 percent of the sector, now we are close to 100 percent," Gbetoenonmon charged. Repeated attempts by AFP to solicit a reply from the president's office and the AIC were unsuccessful. Even though the cotton sector in Benin is flourishing, concerns remain about access to the market and accountability. "In the past, when there were problems, small producers or any link in the chain could turn to the state" for help, said one veteran figure in the industry. "Today, who can they speak to?"